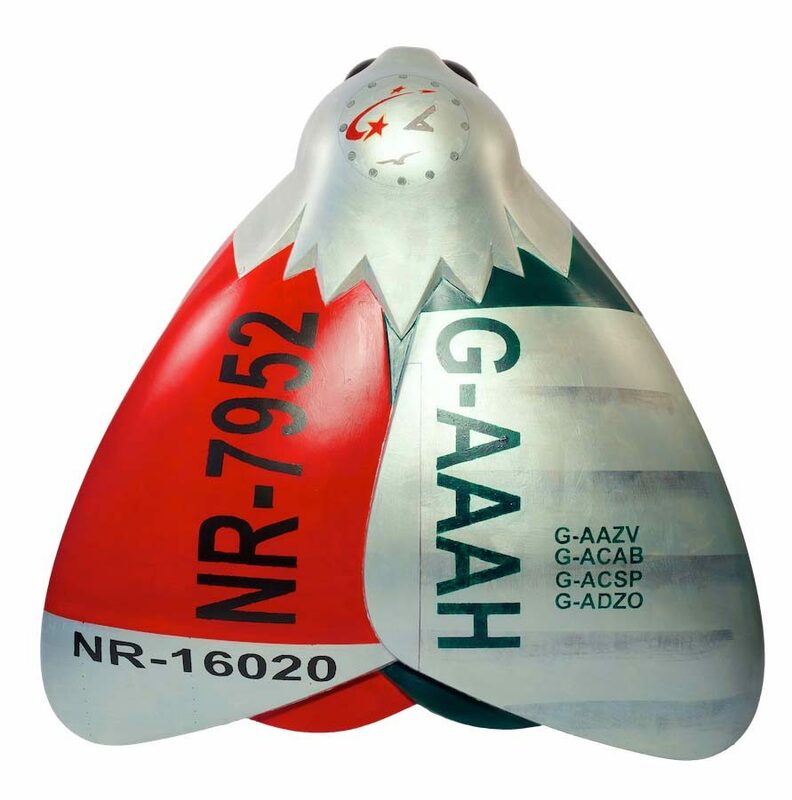 This moth design is based on the achievements of Amy Johnson and those of two other female pioneers of aviation, Amelia Earhart and Valentina Tereshkova. It uses insignia, colour schemes and registration marks associated with their craft, usually displayed on the wing of an aircraft. Born in Hull and former pupil of Kelvin High School, Alan Thorley worked for 27 years as an automotive designer with Ford Motor Co. in Essex. Now semi-retired, Alan works as a freelance designer.